Happy Friday! You’ve made it through another week! To kick off the weekend, I’ve got a post about GLUTEN! 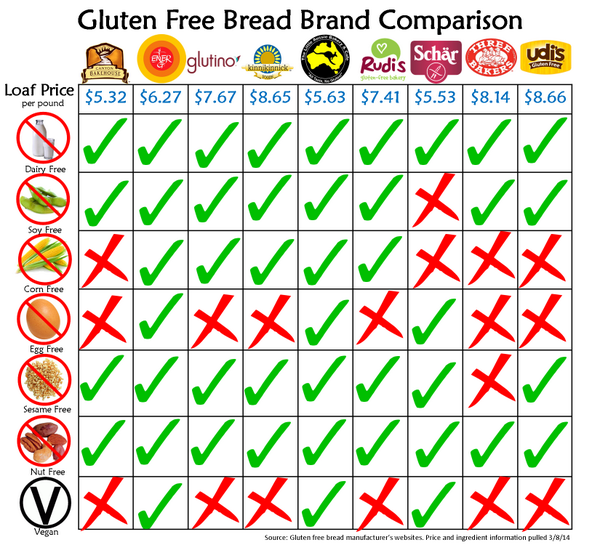 My friends over at the Little Aussie Bakery were kind enough to write up a very informational post about the gluten-free diet. Hello “In Shape Cupcake” readers! We are Rita Sturzbecher & John Apostolovic, owners of the Little Aussie Bakery & Café, a 100% gluten free bakery in San Antonio, Texas. We and our five children have been living a gluten-free lifestyle for over 40 years, and are living proof of the benefits of this amazing lifestyle! If you like what you read, please visit us at www.thelittleaussiebakery.com. And a big “Thank You” to Audrey for inviting us to write this post on her blog! There it is – such tiny question with such huge implications. Running a 100% gluten free bakery, it’s a question we get asked pretty often. If we had the time we could give day-long lectures on the subject! 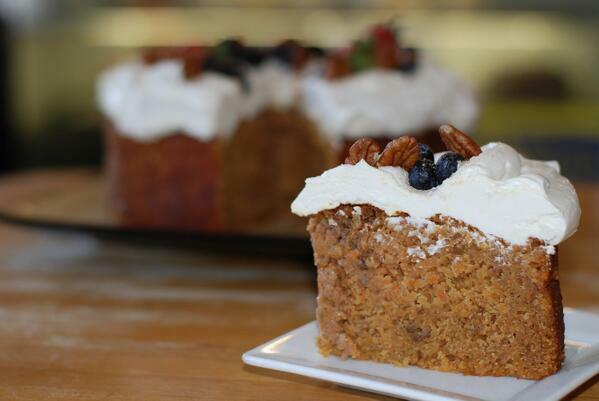 Luckily, we’re usually too busy baking up delicious gluten-free treats for Little Aussie Bakery & Café. So, we’ll give a short outline of the most important reasons why you should go gluten free. If you have Celiac Disease or gluten sensitivity, the reason for cutting the gluten is pretty obvious–your body is attacking it! But what if you don’t? Is going gluten free really a good idea for everyone? Here at the Little Aussie Bakery & Café, we say “yes!” A gluten-free diet can be beneficial to anyone, even those without a diagnosed allergy or sensitivity (and we can attest to the results—we’ve been living gluten free as a family for nearly 40 years). In the words of Cardiologist Dr. William Davis, modern wheat is a “perfect, chronic poison.” Over the past half century, it has been genetically modified to contain higher levels of gluten than ever possible in its natural state. Even if we eat the same number of slices of bread or pieces of cake that our grandparents did way back when, we are now ingesting up to five times more gluten per serving. And that doesn’t take into account the fact that many bakers add extra raw gluten to the product! Still not convinced? OK, let’s go so far as to say that your body is super gluten-resistant and can handle even extremely extraordinary amounts of the substance. You now have to deal with another chemical that has been added to modern wheat: the gliadan protein. It’s added to wheat to increase crop yield and lengthen shelf life. Sounds harmless enough, right? Until you realize that gliadan is an opiate, specifically one that stimulates the appetite. Ever wonder why you get such cravings for bread? Gliadan binds to the opiate receptors in your brain and stimulates your appetite! Alright, that’s enough scare tactics for the moment. Let’s talk about the good things that can happen when you go gluten-free. First of all, you’ll be eating a more natural diet and have fewer cravings which means that you could lose weight (despite the fact that gluten-free products may have slightly more calories). We’ve heard stories from our customers of losing more than 80 pounds just by switching to a gluten-free diet! Other effects we’ve heard from our customers include better management of diabetes, increased energy, lessening or complete loss of the symptoms of arthritis, depression, IBS, Chrohn’s, Hashimoto’s, seasonal and pet allergies, and much more! We’ve even heard stories of people slowing and even reversing their hair loss! Most people notice that they feel better after only a month or two on a gluten-free diet, so if you’re not sure, take the gluten-free challenge! Just cut out gluten for 30 days–we guarantee you’ll see (and feel) what we’re talking about! Why not kick off your new life with a box of free gluten-free treats from the Little Aussie Bakery & Café? Just pay the actual cost of shipping-click here to order. To your health & prosperity! -Rita Sturzbecher & John Apostolovic, The Little Aussie Bakery & Café. Make sure to follow them on Twitter and Facebook! What’s your favorite thing about eating gluten free? Would you go gluten free for 30 days? What are you plans this weekend!? We have greatly reduced the amount of wheat products we consume over the past 2 years. I need to do the 60 day challenge of gluten free. 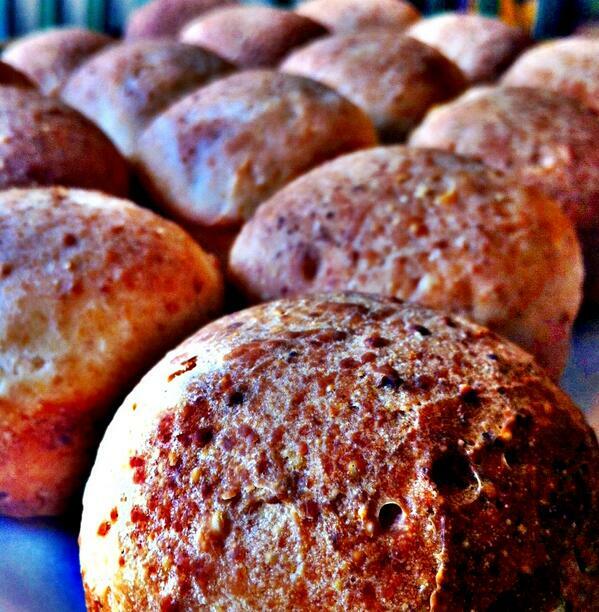 On the positive side, there are many gluten free baked goods that we have tried. Some of my pancakes have been bad, but I’ve got if figured out now! Yum. It can be done. I have been gluten-free for 12 years!!!!! Wouldn’t consider going back to the “norm” EVER!!!! That’s great to hear! I’ve done without it for a month once before…felt way better. Considering on doing it longer. I’m not gluten-free, but I do enjoy cooking gluten free as often as I can and using grains besides wheat! I have heard about all the problems with wheat being so processed and have actually done some research on it. If I remember correctly, it also has to do with the kind of yeast that is used in bread as certain (older) strains of yeast break down the harmful stuff (can’t think of a more technical term lol) making the wheat easier to digest. But today we normally just use the processed yeast, which doesn’t break it down so it’s much harder on our bodies. I find it all very fascinating!